Hi! My name is Agnes and I live in a cosy house at the edge of Liverpool city centre with my partner Kat and our two adorable cats: Pipi and Pickle. Taking care of animals was my passion since I can remember. As a little girl I would fill up my home with birds with damaged wings and stray cats. Everybody was ok on my watch! ) Now I can't imagine a life without animals in it. I am a very active and friendly person so having only a part time job leaves me plenty of time and energy especially for puppies. 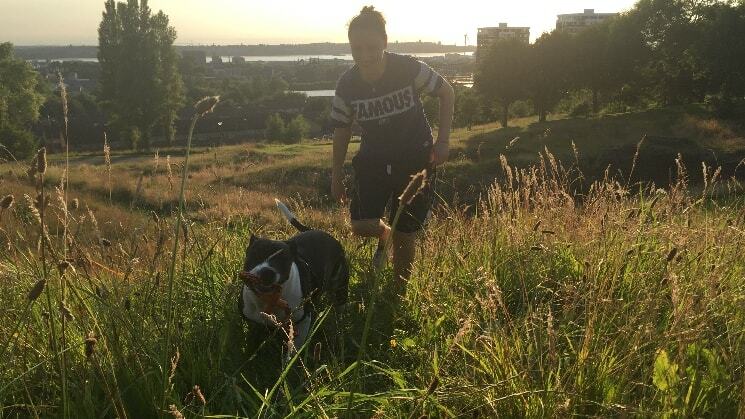 There is a spacious beautiful park, Everton right on my doorstep and me and my partner love taking walks up there preferably with dogs We also enjoy exploring all amazing parts of Liverpool like all the other great parks but also Crosby and Formby beach. Therefore we are happy to accommodate a puppy over night but also just take them over for a nice long walk. If You wish for Your darling to be taken care of by two best nannies in the world please don't hesitate to contact us! Agnese and Kat were lovely sitters , they sent pictures often and kept us up to date with how he was and made us feel comfortable leaving him there.